After the whirlwind of Disney’s Frozen and the constant hum of Let it Go, the story of a super lady villain with icy powers and a thirst for revenge couldn’t be any more refreshing. Finally someone is going to use these epic powers to make more than an ice castle in the middle of nowhere! The 12 part series by Josh Dahl tells the story of Icicle, the female super villain on her quest to seek vengeance against Coil, her previous boss who murdered her lover, Piledriver, and her fellow gang of rogues. “Midas Flesh” #5 from BOOM! Cover art by Emily Carroll. So close to the end folks, and the plot continues to get darker and denser. I genuinely have no idea where this comic is going from month to month, and I love it. 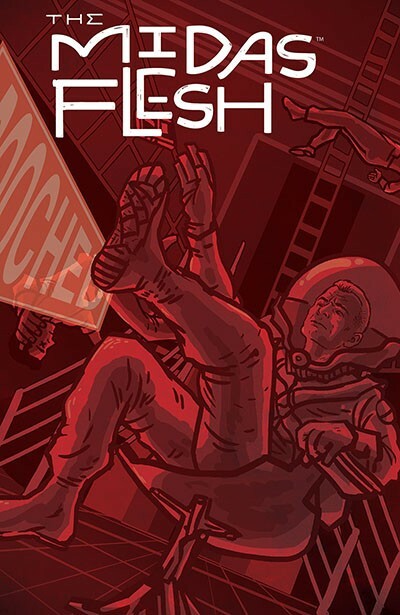 “Midas Flesh” is a unique storytelling experience that keeps on getting better. The events of this issue will be kicking around in my head for days to come. 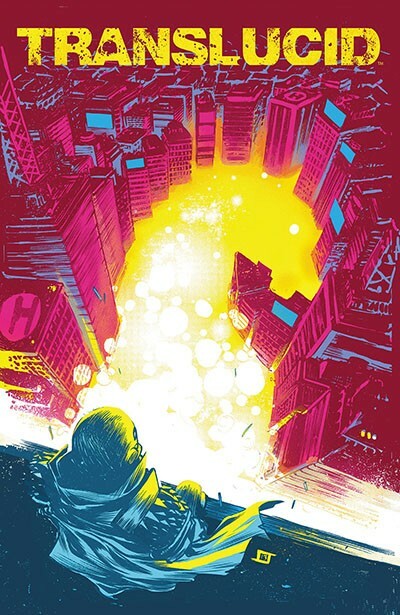 Cover to “Translucid” #1 from BOOM!